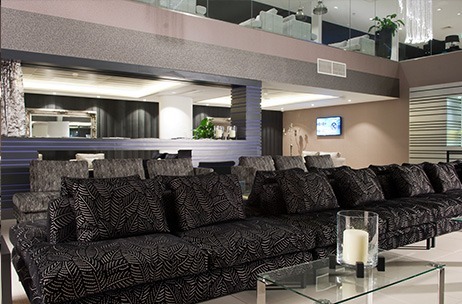 Inflite have created an amazing and truly flexible space that links different areas of one uniquely designed building to form a continuous series of lounges catering for groups of 2 - 200. Each area is designed and formed to provide exactly the right ambience, space and facilities for the number of passengers travelling. 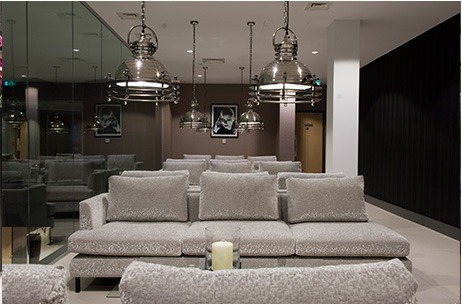 Luxuriously furnished, subtly lit and with superb refreshment facilities each area provides a different visual experience for the traveller. 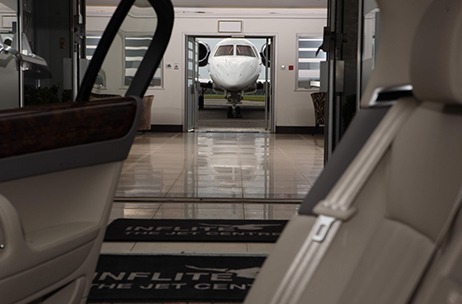 Whether you are in an intimate small party or a large corporate group your transit through the Inflite Jet Centre will be tailored to suit your exact requirements. A clever use of different floor levels and glass gives an exciting environment that whilst giving passengers privacy, is open and inviting. 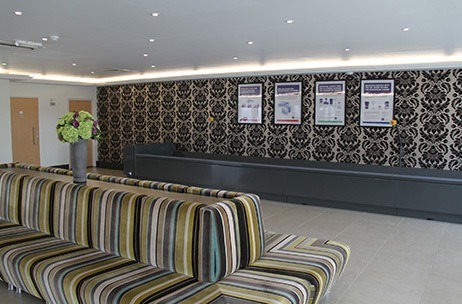 Which ever area you depart from you will be well cared for; provided with exceptional refreshments, papers, popular journals, Sky TV and, of course, looked after by our renowned Jet Centre staff. Usually your stay will be all too short before you pass seamlessly through Departures and within a few meters on to your waiting plane. 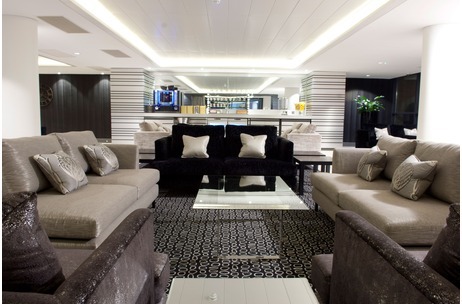 Everything we have undertaken from the initial design through choice of furnishings, lighting and equipment has been done with the aim of making the Inflite Jet Centre unique and possibly the best FBO in the UK. 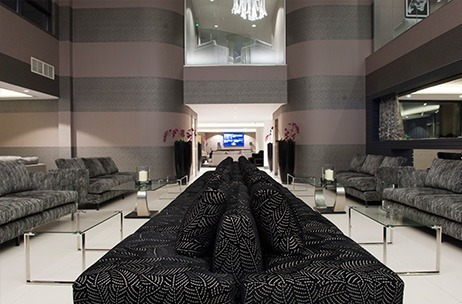 Arriving at the Jet Centre your experience should be as quick, efficient and pleasurable as our Departures. 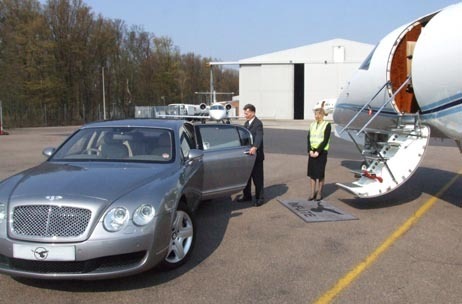 Flying in a corporate jet you will be in your waiting vehicle in a matter of moments. 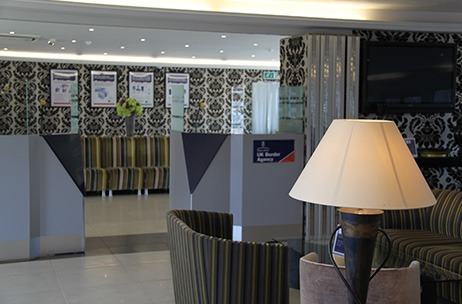 For larger chartered aircraft we offer our friendly arrivals lounge where you can clear UKBF and be on your way with speed and ease. 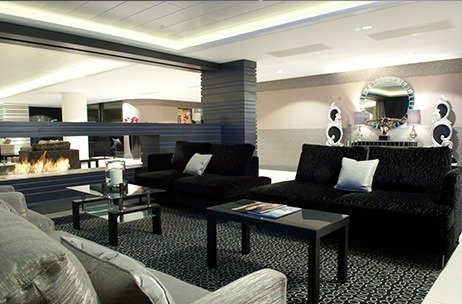 Our new Arrivals Lounge has been designed to provide the quickest and most efficient transit from airside to landside. The lounge is immediately adjacent to your aircraft stand and with a new conveyor system can handle 200 passengers with speed and ease. 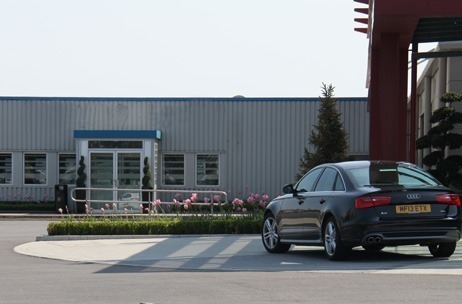 Our executive pick-up point and car park is just steps away. 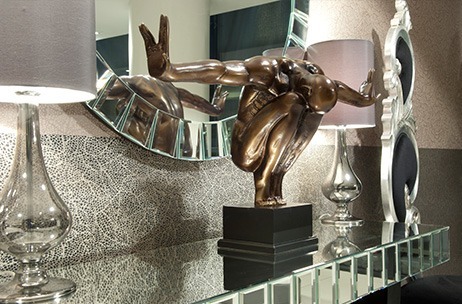 Arrival in the UK could not be quicker or more convenient. 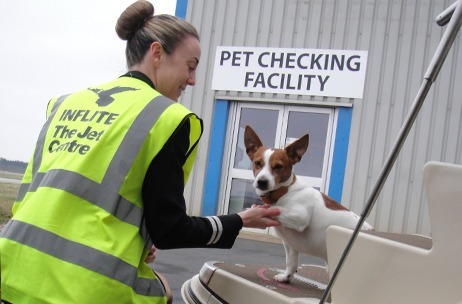 The Inflite Jet Centre has been given approval by the Government to handle the transport of pets travelling to the UK under the Pet Travel Scheme (PETS). Owners of dogs, cats and ferrets can now ship their furry animals on flights into Stansted via Inflite the Jet Centre from overseas. The team at Inflite have been trained by the Animal Health and Veterinary Laboratories Agency (AHVLA) Office to meet pets and their owners on arrival and carry out passport checks and scan animal microchips. Inflite's specially trained staff will meet the aircraft on arrival and, together with the owner, check the pet's passport and microchip. 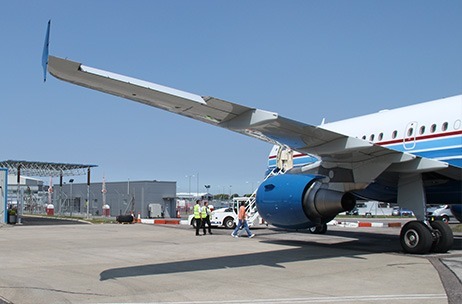 The pet and owner will be then free to disembark the aircraft and once having cleared UK Border Agency they can continue their journey in the UK. 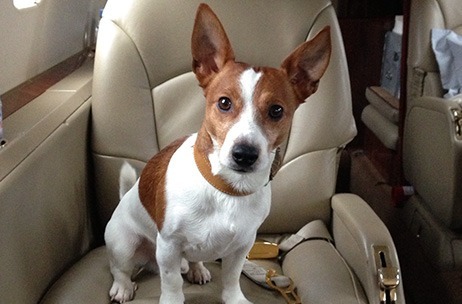 The arrival process is completely hassle free and considerably shorter than at other UK airports so relieving you and your favourite pet from unwanted stress.